I’m going to be honest in saying I’ve never been a fan of Clarins cleansers because I don’t like milks that leave a residue, and the gentle cleansing foam, well it just never foamed well and didn’t cleanse deeply enough for me. 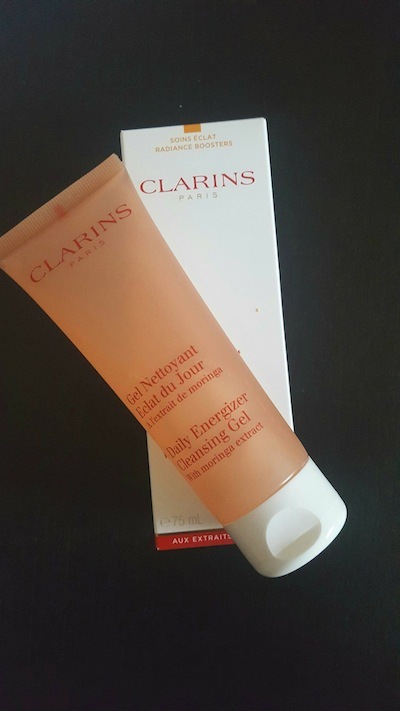 This did put me off trying any of the other cleansers, but as I was short of a few loyalty points on my Clarins account, I decided to order a Daily Energizer Cleansing Gel to see what it was like, and I was happily surprised. The product comes in a handy 75 ml/2.5 fl oz tube with a flip top lid which is ideal for traveling and longer trips as it’s under the 100 ml regulations on airplanes. It’s priced at £13.50/$17 which makes it affordable, and was originally aimed at the younger market. It’s also suitable for all skin types, and to be frank I’ve never been sold on these anti-aging cleansers because a cleanser is on and off within minutes and doesn’t absorb into the skin. 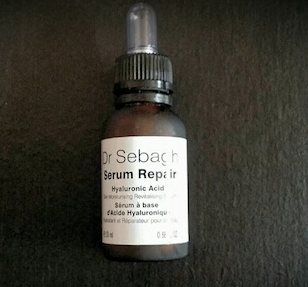 It is geared towards younger skins as a cleansing gel, but I would say it’s ideal for healthy skins regardless of age. Although I’m not the target audience for this product (aimed at teens to 25 year olds), that shouldn’t stop anyone from trying the product. A cleanser is a a cleanser after all! 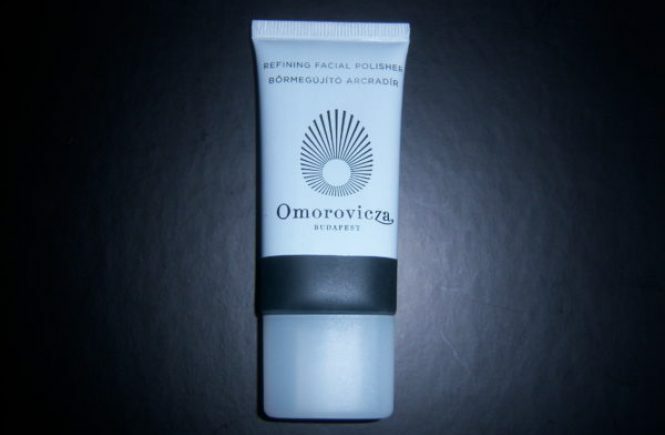 The packaging is vibrant and young, with the light orange gel packaged in a see through tube, and is suitable for all skin types. As with most Clarins products you don’t need much and this lathers quickly to create a light but sturdy foam. It rinses off leaving no residue and the skin is left clean and fresh, just as a cleanser ought to. It contains moringa extract which helps the brighten the skin and saponaria extract that helps to deep cleanse the skin. It does claim to remove makeup, but that’s just light makeup if you’re wearing a bit of concealer and bronzer though and not full makeup such as foundation and eye makeup. 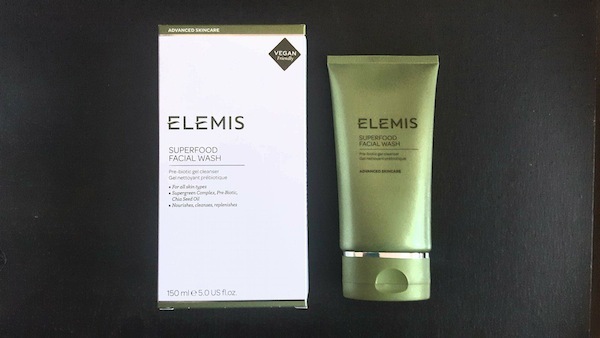 This is an ideal cleanser to use during the summer months as it’s refreshing, and if you have combination or oily skin you’ll like it as it doesn’t leave the skin feeling tight (no cleanser should). 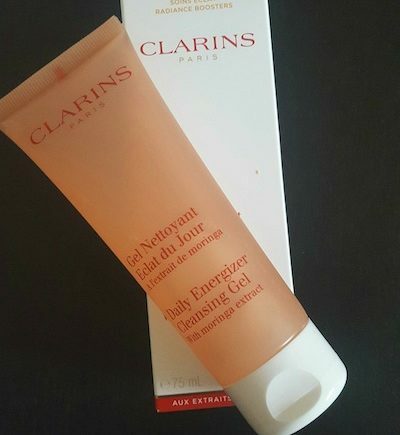 The see through tube is also better because you can see how much product you have used, and how much is left unlike other Clarin tube cleansers. If you’re always on the go (gym, and weekends away) this is ideal as it’s not too big or bulky to carry around. A good choice for a gentle and basic foaming cleanser and at an affordable price (£13.50/ $17) from a premium skincare house.